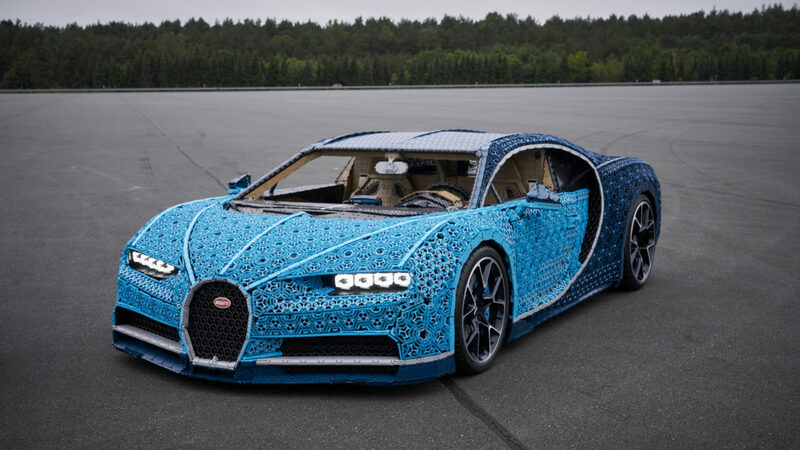 Remember LEGO’s Bugatti Chiron model kit earlier this year? Well, apparently they thought 3,599 pieces wasn’t enough… so they made a life-sized version to go with the 1:8 scale replica. 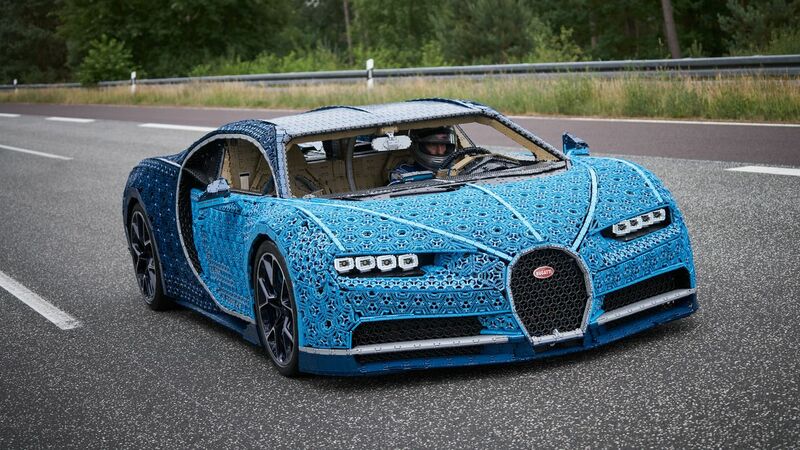 It isn’t for show either; this LEGO “supercar” consists of over 1,000,000 non-glued bricks and can hold two passengers while accelerating to over 20 km/h. The engine is made from LEGOs as well – featuring 2,304 motors, 4,302 Technic gear wheels, and 2,016 Technic cross axles; it can push out a total torque of 92 Nm and 5.3 horsepower. 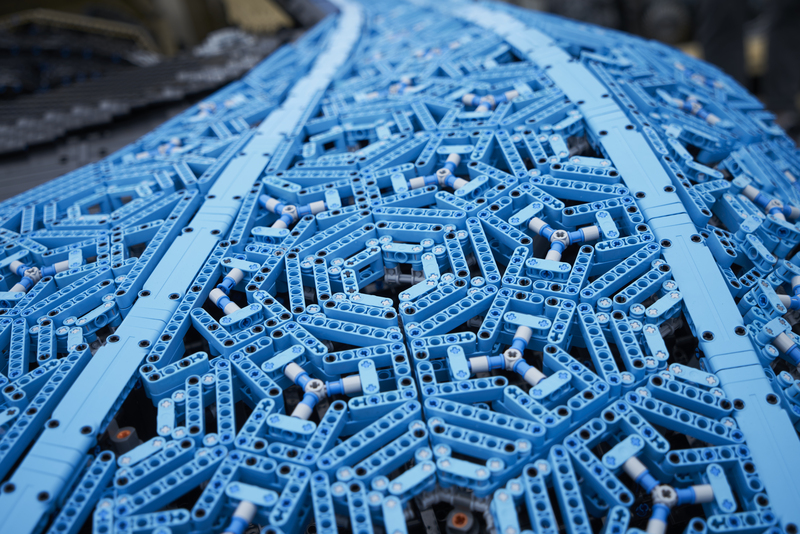 Technic designers and engineers who normally work on large-scale projects for LEGO stores and LEGOLAND parks are responsible for this mechanical marvel. In total, it took over 13,000 hours and 339 LEGO Technic types to get this baby up and running, and the attention to detail shows. 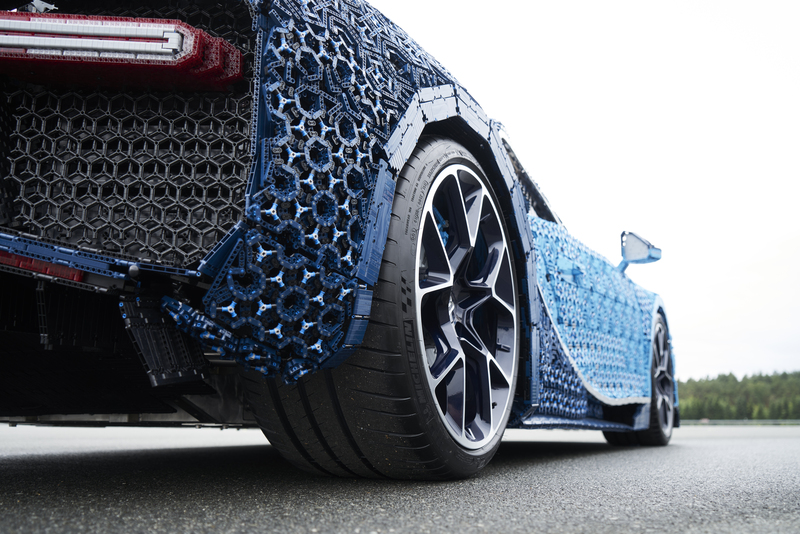 Interconnected triangular segments were used to create a LEGO Technic shell which mimics the original Chiron’s body structure. Just like the real car, it comes with an adjustable spoiler, front and back lights, and everything else an expensive car should have. The only parts which aren’t made from LEGO are the wheels, which are Bugatti-made. 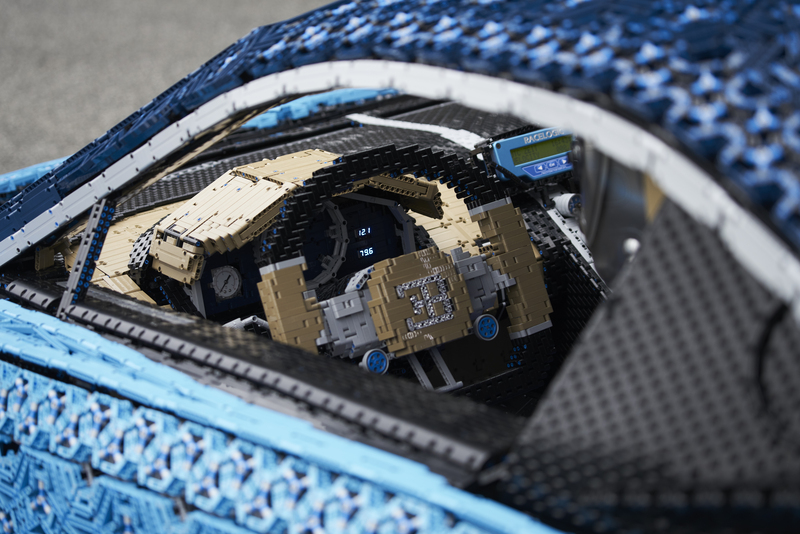 Inside, you can see everything is made from LEGO: the dashboard, the detachable steering wheel, even the brake pedals are LEGO-made. It isn’t the least bit comfortable (or safe), but having the bragging rights to say this car was fully modeled from LEGOs looks like it was worth the price of comfort. 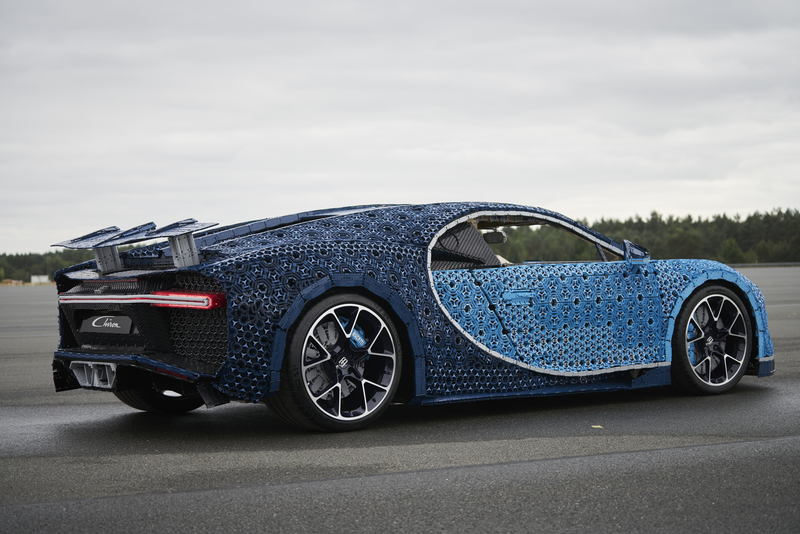 But what really put this LEGO Chiron through its paces was a test drive by Andy Wallace – the same driver who put the real Bugatti Chiron through its paces. 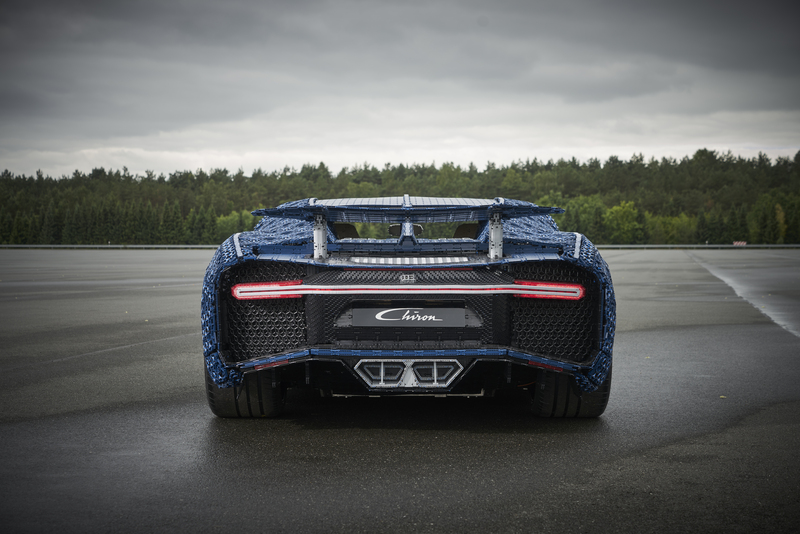 Set in the Ehra Lessien track in Germany, the LEGO Chiron couldn’t quite match up to the Bugatti Chiron’s 420 km/h, but it did manage to put out 20 km/h without crumbling into a pile of toy plastic bricks. 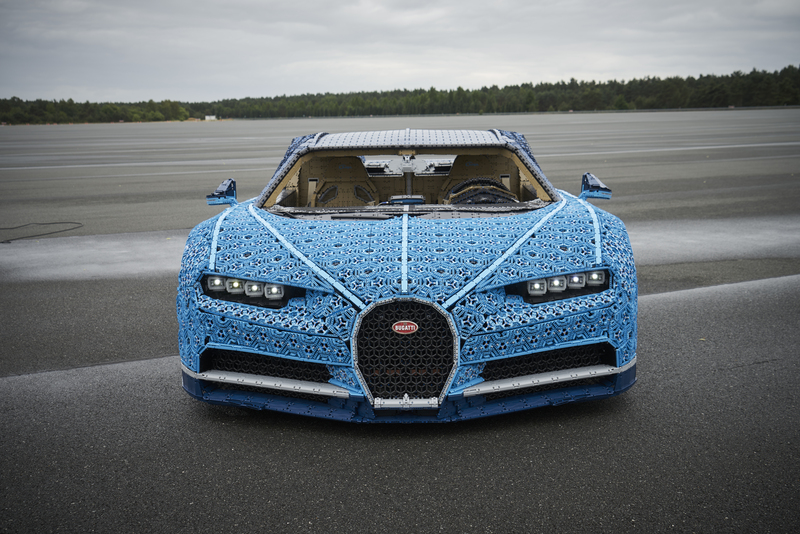 The LEGO Bugatti isn’t for sale, but if you’re feeling particularly creative, you can gather every single LEGO brick you have and try to make one for yourself.